Lady Luck "V" Necklace for the tender and tough ladies in the modern city. 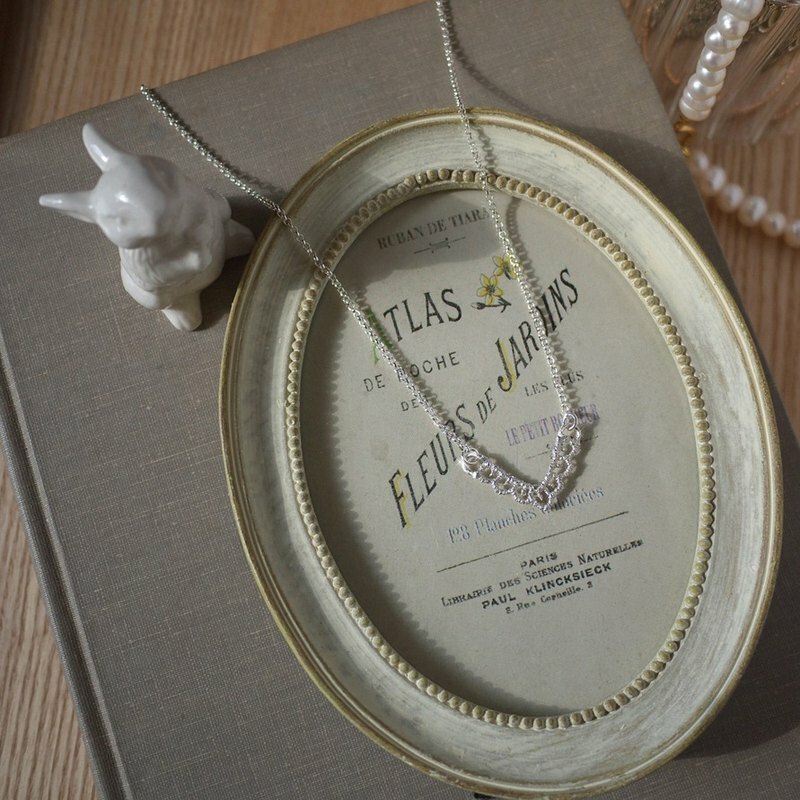 / Specification / -Chain: 16 long -Lace: 15cm / Material / Silver 925 / Packaging / With a paper box. Bubble wrap and Guarantee. This product comes gift wrapped, making it perfect for presents. Designed in CHOCCY Jewelry. Made in Taiwan. This product is measured by hand. Margin of error is approximately 0.1~0.3 cm. This product is handmade. Margin of error is approximately 0.1~0.3cm. / maintenance instruction manual / Please avoid wearing silver jewelry when taking a shower/bath, swimming, or using a spa or hot spring. Otherwise the silver will turn yellow over time and restoration will not be possible. If silver becomes tarnished as a result of discoloration or oxidation, please use a silver cloth and wipe the jewelry in one direction. This should restore luster to the silver. If silver jewelry becomes slightly yellow in color, you can clean it with a solution made of baking soda and water. Soak the silver in the solution. Then, gently clean the tarnish off with a soft toothbrush or sponge. Finally rinse the silver with clean water and wipe dry. To avoid oxidation, when not wearing, wrap your silver jewelry in tissue papers and put it in a plastic zipper bag. / Shipping / This product will be shipped by regular air parcel. If you require faster shipping time, please send us a Pinkoi message. The shipping time depends on the logistics companies. Therefore, an exact date cannot be given.